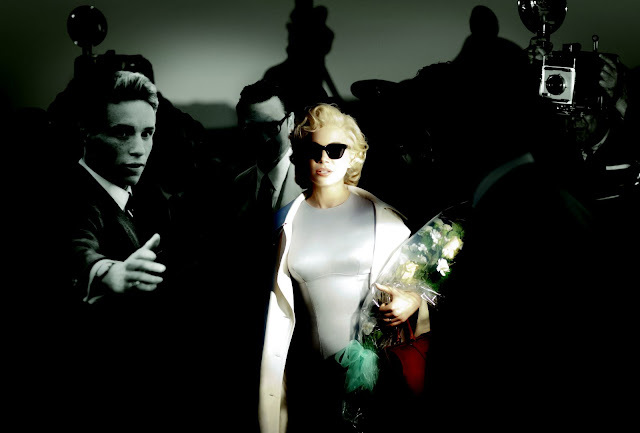 Early in the summer of 1956, American film star Marilyn Monroe (Williams) set foot on British soil for the first time. On honeymoon with her husband, the celebrated playwright Arthur Miller (Dougray Scott), Monroe came to England to shoot “The Prince and the Showgirl” - the film that famously united her with Sir Laurence Olivier (Branagh), the British theatre and film legend who directed and co-starred in the film. It wasn't until years later that Clark revealed why. In a follow-up memoir entitled My Week with Marilyn, he recounted the true story of one magical week he spent alone with the world's biggest star -- the week he spent with Marilyn. The first memoir, The Prince, The Showgirl and Me, recounts Clark's experiences working as third assistant director on the set of Monroe's first film as both producer and star in which she played opposite Olivier, who also directed. The book recounts the production's myriad problems, fuelled almost exclusively by the lack of communication and understanding between the two stars: Monroe's erratic behavior and tardiness were exacerbated by her addiction to alcohol and prescription medication; while Olivier, a staunch traditionalist, refused to accommodate Monroe's idiosyncrasies or her devotion to Method acting, which she practiced under the guidance of Paula Strasberg. While Clark's memoir is a dishy, fly-on-the-wall account of Olivier's and Monroe's fraught partnership, his follow-up memoir, My Week With Marilyn, feels like an intimate confession. In it, Clark affectionately remembers one enchanted week he spent leading the troubled Monroe on a tour of the English countryside. It offers an all-too-rare glimpse of the real woman beneath the carefully cultivated image, unencumbered by the busy machinery of stardom.